A-Fox Electric is providing Service Electrician, Commercial Electrician, Residential Electrician, Electrician services in Oklahoma City. Call (405) 602-1983 for more Details. There may be a lot of electrical contractors in Oklahoma City OK, but there are none as reliable, quick and well mannered as us. Our company has long traditions in the electrical industry. All of our customers are treated with the same level of kindness and professionalism and most often come back when they need us again. Your electrician in action, A Fox Electric is your experienced emergency electrician! A Fox Electric is a full service electrical contracting company, supplying commercial businesses and residential homes throughout the Greater Oklahoma City, Oklahoma area. We are completely licensed, bonded, and insured to deliver professional quality workmanship. At A Fox Electric, we believe in old fashioned traditions such as; exceptional work ethics, high moral standards, friendly customer service, and superior execution in all services we perform. 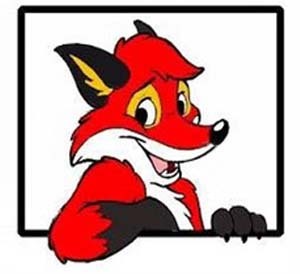 A Fox Electric electrician’s have advanced training, years of valuable experience, and extraordinary skills to perform any of the services we offer. With the use of high-end products, tools, equipment, and supplies exclusively offered to licensed professionals, A Fox Electric is in the position to ensure our valued customer receive nothing less than premium results. A Fox Electric offers a wide range of services to commercial and residential customers across Oklahoma City, OK and surrounding areas including; Wiring and Rewiring, Electrical Service Upgrades, Circuit Breakers Surge Protectors and Switches, Lighting Services, LED Lighting, Outdoor Wiring, Fixture Installation And More. At A Fox Electric, we include emergency electrical services that are offered to the residential and commercial properties when they are being inflicted by catastrophic electrical events that can cause property damage or contribute to personal injury. We understand that electrical mishaps rarely occur during a time of convenience and with our emergency response; we can quickly come to your aid and help avoid further incidents with your electrical issues. 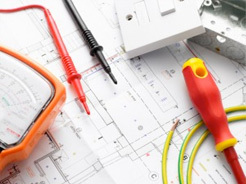 A Fox Electric experts are talented problem solvers, skilled in the trade and can determine the underlining problems and present effective solutions to ensure your home or business’s electrical network is running efficiently once again. Older buildings, commercial or residential will be in the need of upgrades and rewiring as modern technological advances continues, and to root systems need to accommodate the growth. Especially in the event that you choose to remodel, expand, or renovate your building, getting the electrical needs to handle the additional load is crucial. Trusting such an important project to a professional, licensed electrician is equally essential to the functionality of the electrical system of your home or business. Taking advantage of A Fox Electric will give you the peace of mind that all the upgrades, rewiring and new installations where done right the first time. Safety lights help protect your treasures, assets, staff members, and loved ones. That’s why safety light installation is important; it needs to be done right. Ensuring indoor and outdoor landscape lighting is fully operational and function appropriately when they are needed is imperative. With A Fox Electric, our team of professionals performs each project with diligence and efficiency to assure each job is done correctly. No matter how big or small your electrical projects for your home or business in Oklahoma City, OK and surrounding areas, A Fox Electric are available to help you get the job done correctly. Our experts are fast and proficient and are eager to serve you today. Call us today to get started! We've built our reputation by employing certified, highly experienced electricians to serve your electrical needs. Oklahoma City, OK has a lot of electricians, but our success comes from treating our customers the way we, ourselves, want to be treated by service providers. A-Fox Electric is here to provide the clients of Oklahoma City OK with electrical products and services that are of the highest quality. We are well known for repairs provided with a level of service unparalleled in this sphere and also for delivering competitive electrical installations. Our Oklahoma City, OK residential supervisors and electricians provide the measure of customer satisfaction that builds strong relationships with our customers and keeps them coming back.